Jackie Leven was brilliant and truly under-appreciated. I never tire of his music.His lyrics stand as poetry of the highest order.His life ended much too soon. I was lucky to see him in concert just a year before he died. He was a master story-teller both in his songs and between his songs. After the show he asked me what my name was, I told him that it was Hallgeir. He said: “What?” and then tried to say it and laughed. “What does it mean?” I said that it is an old viking name that it literally means stone spear. He signed his cd for me with the words: “To my big viking friend, Hallgeir!” He was a sweet, funny and very talented man. I found some fine moments on YouTube to celebrate a fine songwriter. 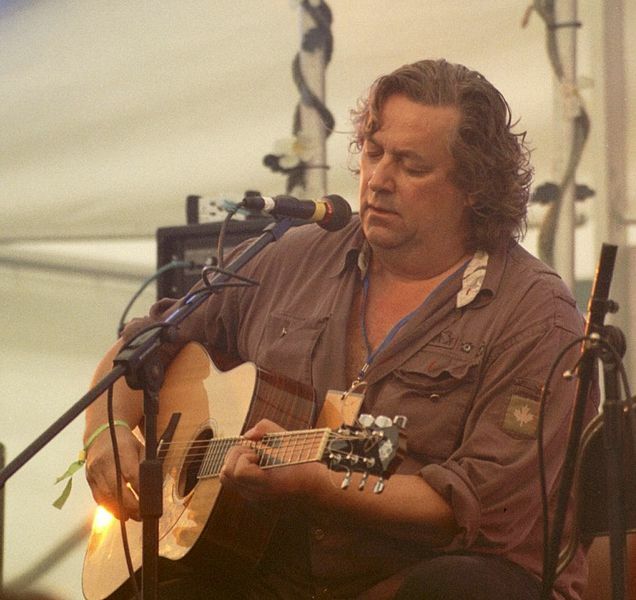 Jackie Leven (18 June 1950 – 14 November 2011) was a Scottish songwriter and folk musician. After starting his career as a folk musician in the late 1960s, he first found success with new wave band Doll by Doll. He later recorded as a solo artist, releasing more than twenty albums under his own name or under the pseudonym Sir Vincent Lone. He sometimes complained that his record company wouldn’t let him release as many albums as he wanted. And he wanted to release a lot!